How Does Virtual Reality Work? Looking for an affordable headset always gave me a migraine! I thought with so many products in the market, I can find a decent set of goggles without worrying about the price. So, you can imagine my shock when I came face to face with $200-$500 sets. Luckily, the Tzumi Dream Vision Pro came in like a savior angel and saved me from spending hundreds of dollar! So, how does it hold up? Read ahead and find out! Virtual Reality goggles can be used for a wide variety of applications including games, learning and exploring. They help folks immerse in a real or virtual environment and helps them become an active participant. For most gamers, it can help improve their coordination and critical thinking skills much more than regular video games. Generally, I recommend everyone to give it a try once! Whether it’s for playing games or exploring real-life locations, VR goggles can help you immerse yourself in a different location. Mobile friendly glasses are affordable and you can use them in small spaces! On the other hand, if you go for the PC compatible sets, then you might need a more elaborate setup with a dedicated space. Check if your phone or PC system is compatible with the device. This can include the OS and the size of the mobile phone. ​Next, consider how comfortable the system is. This can include cushioning, adjustability and ergonomics. If you have a small space, go for phone compatible systems, otherwise, you can use the PC systems as well. ​Lastly, decide your budget and stick to it. If you’re looking to get transported into an action-packed virtual reality world at a small price, then the Tzumi Dream might be for you. 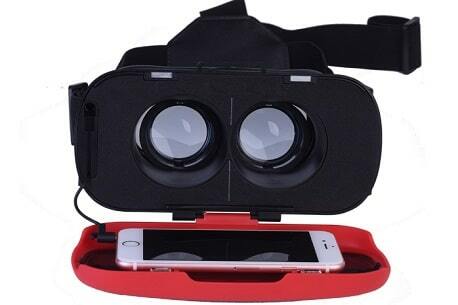 The goggles are compatible with a wide range of devices that are up to 6 inches long. I was actually surprised to find that it came with built-in sound, navigation and action buttons even at the low price point. Furthermore, it is quite lightweight and comfortable. It comes with an adjustable strap as well as soft padding so you can use it for hours on end. What’s more is that it comes with retractable stereo earbuds to help you get the full 3D experience. To allow for better eye comfort, the product comes with an anti-glare lens system! All in all, I found it had decent features compared to the price! However, the price did compromise on some features which I found regrettable and inexcusable. Perhaps one of the best features of the device is the compatibility. The device works with iPhone and other Android smartphones that are about 3.5 to 6 inches in size. Moreover, it can be used with all kinds of operating systems. Since you might be playing or viewing with these goggles for a long time, they need to be comfortable. The device comes with a soft vinyl foam padding around the eyes. This means they won’t dig into your face like the Google Cardboard set. Moreover, they feature an adjustable strap which means folks of all shapes and sizes can use it. Since you can adjust the straps, this ensures a more secure and tight fit. This way no light can leak through the gaps and holes and ruin your experience. Also, the device is quite lightweight at about 1.1 lbs. 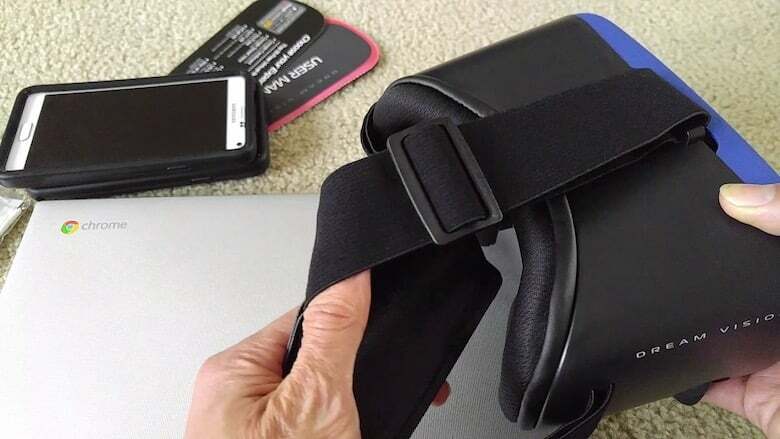 This makes it even easier to wear it for a long time without straining your neck and head. What I found unique about the Tzumi Dream Vision are the built-in mic and the retractable earbuds. They allow you to navigate the area through stereo headphones. Stereo means the sound on both the buds is different and designed to create a 3D surround effect! The quality of the earbuds and the microphone is a little questionable, but I think they hold up decently well. What I often find missing in the less costly Virtual Reality glasses is the control switch. Luckily, the device comes with one to offer premium navigation and control. So, no more simply standing around! With the Tzumi, you can be an active participant in the games and 3D Videos! The Glasses include adjustable lenses as well. The buttons at the top allow you to adjust the distance between the two lenses. This means that folks with all sorts of eye distances can use it without any hassles. Also, the focal length and the object distance of the lenses can be adjusted. As a result, folks with up to 600-degree Myopia can wear them without needing to wear prescription glasses! As one who suffers from short-sightedness, I can tell you what a relief it was not to go through the pain of wearing a pair of Virtual Reality goggles on top of regular glasses. The only bone I had to pick with the device regarding the lens was the extremely short viewing angle. It includes a viewing angle of merely 70-90 degrees. As a professional who deals with Virtual reality goggles daily, I found it a bit disappointing. Before buying the set, I looked for reviews online to find the reputation the device holds in the market. Most reviewers seemed to revel in the low cost of the set. They also found it to be quite comfortable and found it to be decent quality. On the other hand, they too found that the features were somewhat limited. For example, the short viewing angle and the non-durable material seemed to be a common complaint. Some users also found that the lack of compatible apps to be quite inconvenient. 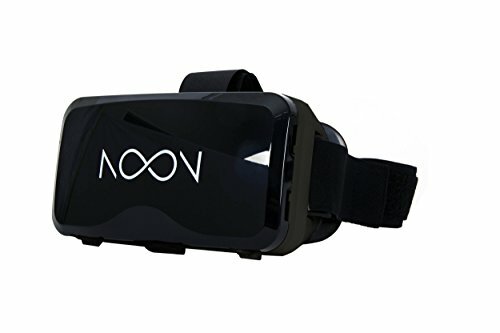 The Noon VR set is compatible with any device larger than 4.7 inches up to 5.7 inches whereas the Tzumi is compatible with phones larger than 3.5 inches up to 6 inches. It is perhaps a little more ergonomic than the Tzumi with the leather padding and lighter weight. Also, it is compatible with more apps and videos. However, it did not have a physical magnetic button, instead, it had intuitive controls. This tends to be a problem with apps that need a physical button. The biggest bummer is perhaps that it has no IPD controls which the Tzumi does! 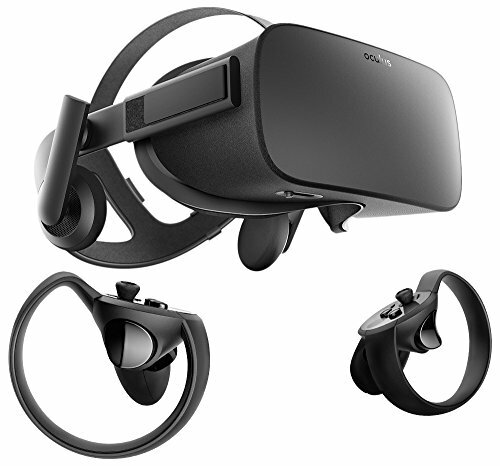 If you’re looking for a more immersive experience, the Oculus Rift + Touch System is for you. Where the Tzumi is a mobile compatible system, the Oculus works with a PC. It is a room-scale Virtual Reality system that can put you in the middle of your favorite games. It requires dedicated space and comes with sensors to help track your movement. Furthermore, it is comfortable and ergonomic to wear due to the three-strap harness system as well as the perforated leather padding. On the other hand, the headset tends to be a little heavier at 8 lbs. It is, of course, much costlier than the Tzumi. However, it comes with the Touch controllers that allow you to interact naturally with the virtual environment. FREE CONTENT WITH PURCHASE - Two-month free trial of Viveport Subscription included with your purchase. FULLY IMMERSIVE - True-to-life movements with realistic graphics, directional audio and HD haptic feedback. With the Oculus, you can interact with your environment naturally. 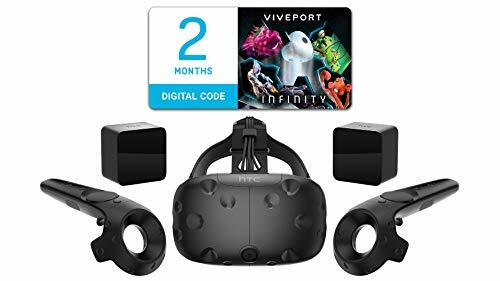 However, with the HTC Vive, you can navigate the virtual world as well. You can use the Tzumi anywhere while sitting or standing. The HTC Vive comes with Room Scale VR with two base stations. This means it requires a dedicated space and you get to move around the virtual space. Furthermore, it comes with controllers and a tracker to instantly track your movements. Of course, it is costlier than the Tzumi! All in all, I’ve found the Tzumi Dream Viewer Pro to be of decent quality at the price point. Its built-in mic and retractable earbuds are definitely a feature you won’t find anywhere at the price range. Moreover, it is widely compatible with all kinds of smartphones. However, compared to some other brands, it tends to fall short. Although it does have a magnetic trigger, it does not allow for a fully immersive experience which can be a little disappointing. 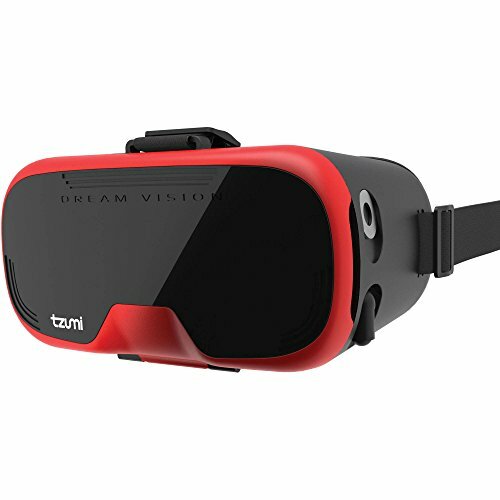 But, if you’re on the lookout for an affordable set without the full experience, then the Tzumi Dream Viewer Pro Headset might be just what you need. Check it out here and decide for yourself! More than 2,469 technophiles are already subscribed to TechFuturae. Leave your email to get our monthly newsletter.